Huerta de Albala is a winery based in Arcos de la Frontera in southern Spain, in the Cadiz region. 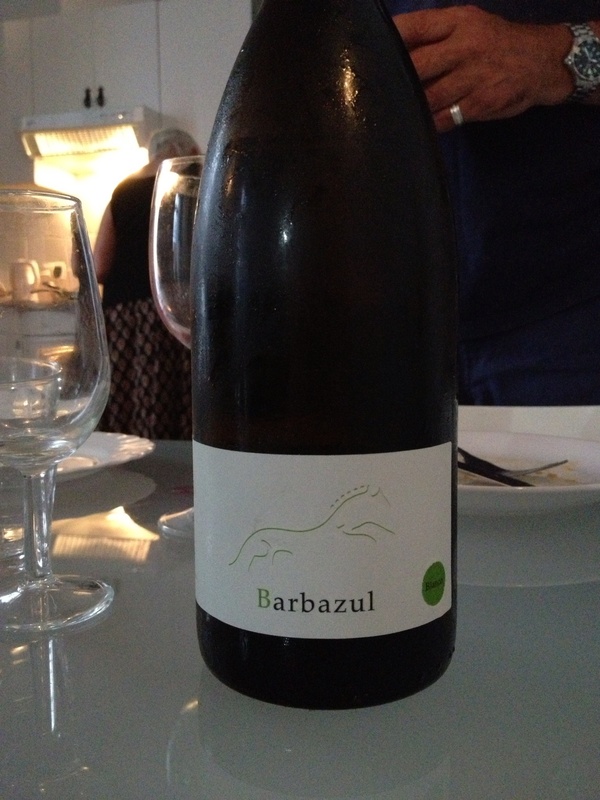 The first wine tried was a white Barbazul 2012 (we blogged on the red some time ago). Made from 100% Chardonnay it was full, lemony and quite rich. Reminded me a little of a muscadet. Nothing special but a well made, easy to drink wine. 13%, about 7€. 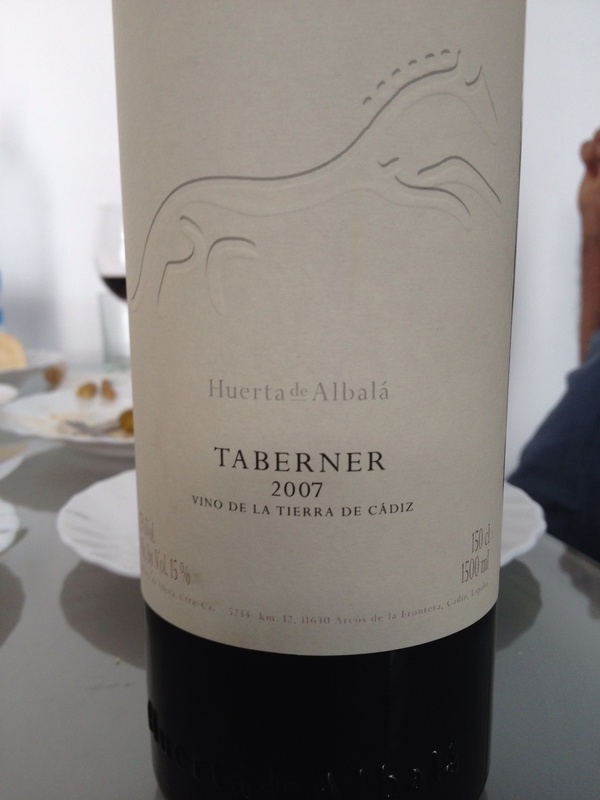 The next was the Tabener 2007 red. This is mainly Syrah with some Cabernet Sauvignon and Merlot. I couldn’t find the exact percentages but the nose is mainly Syrah with some blackcurrant notes. A very full, rich, inviting nose which suggests a quality wine. A brownish rim in the glass suggests that the wine is fully mature. The mouth feel is rich and opulent with good length and the tannin fully integrated. Very easy to drink despite being 15%. Cost was 19€ which I thought was good value. Both wines are listed by UK suppliers at much the same sterling equivalent prices. 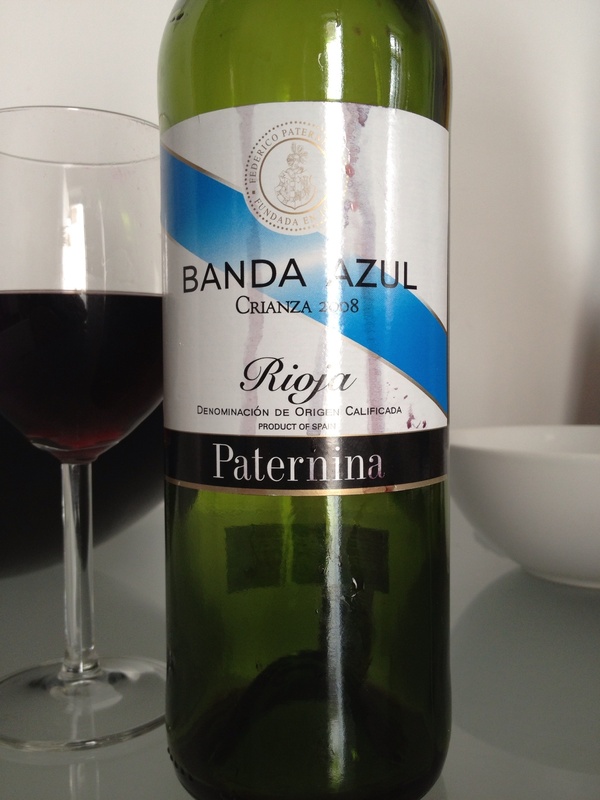 About thirty years ago, I, along with John (an old and dear friend), bought Paternina Rioja from Vintage Wines in Nottingham. It came in heavy bottles holding 2.1l, (equivalent to three 70cl bottles). This was in the days before wine was standardised in 75cl bottles. In addition, Spain had not yet acceded to the European Union and, consequently, could market wine in unusual sizes. John recalls a heavily oaked nose and flavour, good length and a revelation to taste buds more used to Black Tower. In addition, it lasted up to a week once opened. Today’s Banda Azul is still aged in white American oak and is a blend of Tempranillo and Garnacha Tinta. Made traditionally, it is now not so heavy with gentle oak flavours. Medium fruit, medium length. Excellent with tuna salad while in Jerez on holiday. Purchased from Carrefour in central Jerez for €4.80, 13%. The wine we tried promised a lot in the colour and on the nose. All classic Gamay – purple red, clear and bright, fruity and granitey nose, not particularly big but the signs were good. But sometimes the taste does not live up to what the other two senses – of sight and smell – promise. It was very soft and smooth with a sweet cherry finish but not much else. Short rather than long, it had an uncomplicated quality but it lacked structure which made it difficult to drink after one glass. My mouth was coated with the wine and it sat rather thickly-sweetly. It needed some backbone, and might have been better if it were cooler. So, a disappointment. And not a lot to write about. If asked for my favourite wine, I respond cautiously knowing that the next bottle might open up another taste experience. This will then become ‘a favourite’ – that is, until the next one. However, there are wines which I return to – some perennials – which I really enjoy. One of these is white Rioja. I love the old fashioned style, made predominantly with the Viura grape, full flavoured, oaky and possibly slightly oxidised rather than lemony acidic. Unfortunately, in my opinion, these are not flavours that are in favour – the modern preference being for a younger, lighter taste that is termed more refreshing. Fashions change and it’s to be expected that wine tastes will do likewise, the last thing anyone wants is a stagnation of styles. There’d be nothing to talk about if they didn’t. The wine which we tried recently was a fruitful marriage of the traditional and newer styles of white Rioja. It was recommended by Richard Worth of Worth Brothers Wines of Lichfield. He and his brother certainly know their wines as their retail selection is really – and I mean really – interesting. Richard claims to buy only 1% of all the wine they taste and I can believe that, judging by some of the wines they sell. 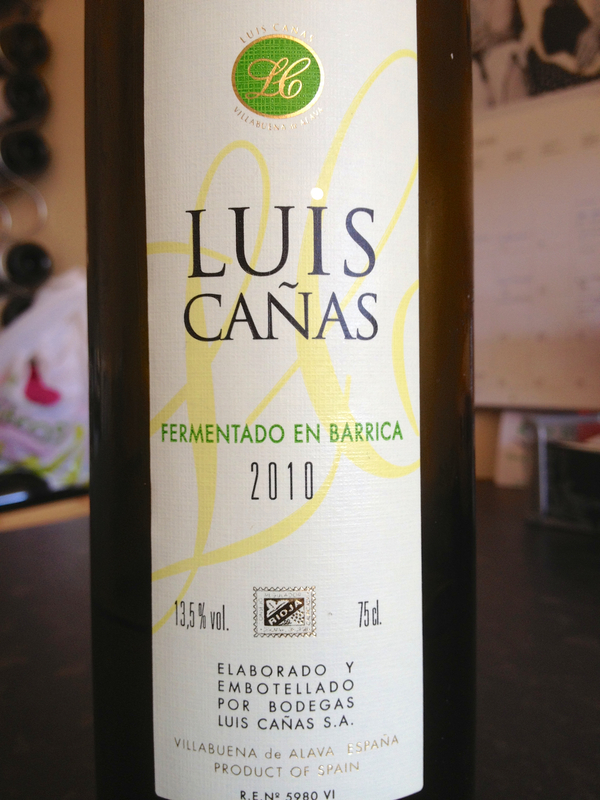 The wine is Luis Canas 2010 white Rioja. The colour was a very pale yellow – green (youth) which suggested some acidity quickly confirmed by the nose. However, there was an underlying vanilla aroma, which came from the oak casks in which the wine had been stored. It was still refreshing to smell and had a very slight almond bouquet; certainly it was an intriguing, layered nose. The palate was tightly, rather than broadly structured (which can be the case with some traditional Riojas), the acidity keeping it on the lean side. Although definitely dry, it had some attractive sweetness but finished on a granite edge and would be a wonderful food wine. It was, as Richard Worth suggested, halfway between the old and new styles. 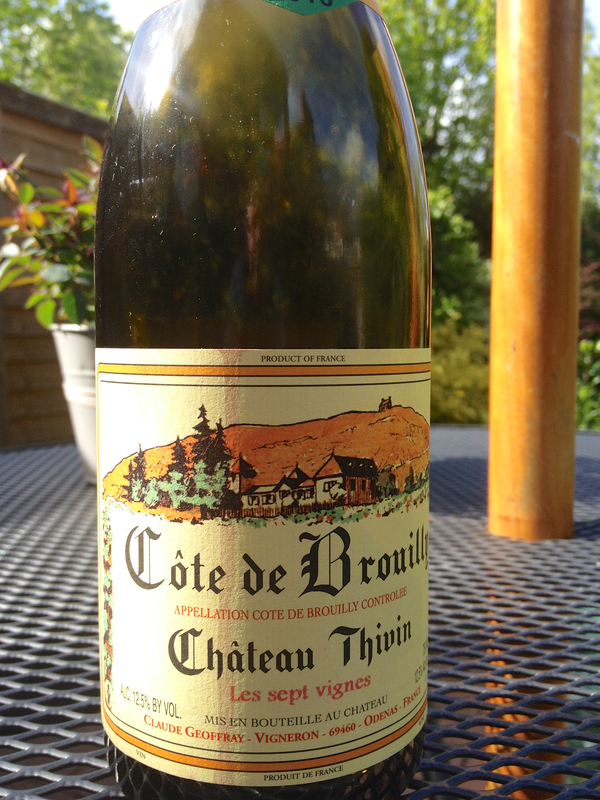 In summary, great value at around £12, a well-made, balanced wine with definite character – a pleasure to drink. 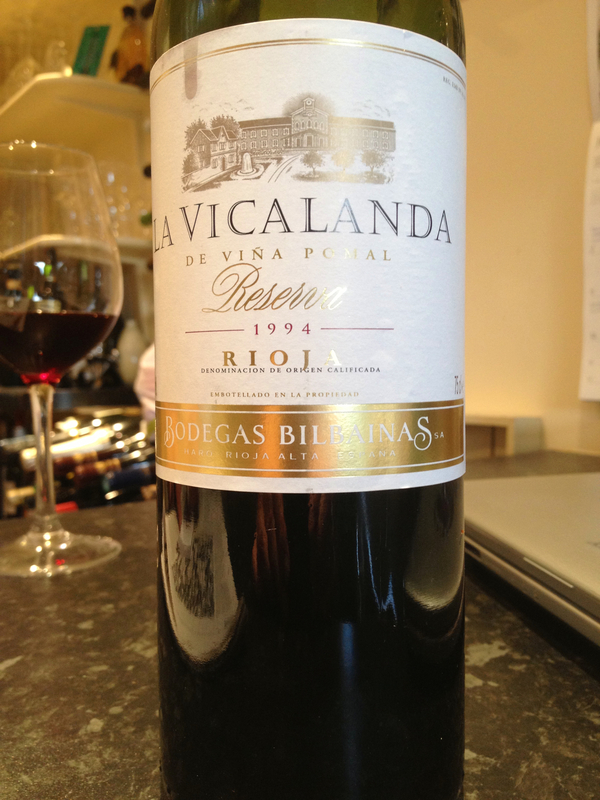 This came from Majestic Wine as part of a mixed case of Riojas and was described as an ‘absolute steal’. The sales pitch also suggested that 1994 was a great vintage and, as research showed, it was the first year this wine had been produced. It wasn’t a blend, but rather pure Tempranillo. So far so good. Customer reviews, however, were not so effusive in their praise, with complaints about the cork and the wine itself and wine being sent back. Richard and I were unaware of the responses when we tasted the wine last Sunday – ‘ignorance is bliss’, as the saying goes. The colour was a deep red but with a distinctly brown rim, as might be expected from a wine nearly 20 years old. There were very light windows clinging to the glass side, suggesting a light wine (it was 12.5% alc). The cork was fine although crystals had formed on its base. The nose had a powerful vegetal/farmyard aromas, not unpleasant, very rich but with little fruit. It suggested quality and age and we both kept returning to it. Richard thought he smelt marzipan, a sweet/almond nose, again showing how interestingly complex this nose was. On the palate it was light and dry, the mid-palate being especially intense and then vanishing. The mouth feel was thin. What few tannins there were did soften through the evening but it kept a good structure and was drinking perfectly well the following day. Praise indeed for a wine this age. On the whole, we agreed it was a well-made wine and, at £12 a bottle, it was both enjoyable to drink as well as interesting.